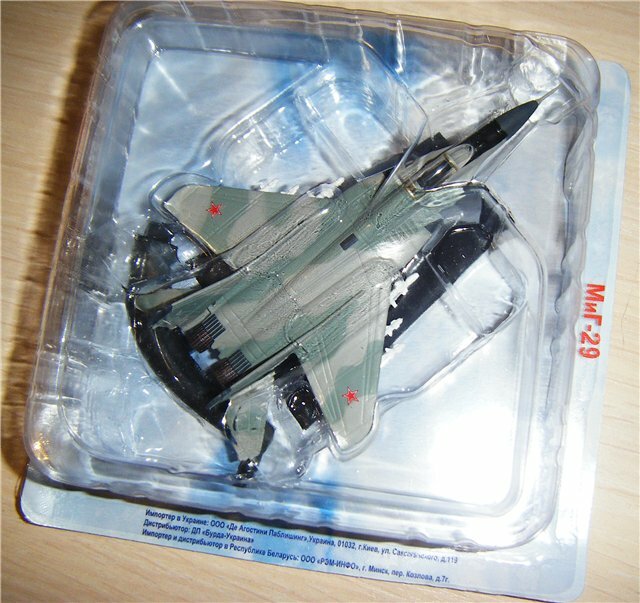 The Mikoyan MiG-29 (Russian: Микоян МиГ-29; NATO reporting name: "Fulcrum") is a jet fighter aircraft designed in the Soviet Union. Developed by the Mikoyan design bureau as an air superiority fighter during the 1970s, the MiG-29, along with the larger Sukhoi Su-27, was developed to counter new American fighters such as the McDonnell Douglas F-15 Eagle, and the General Dynamics F-16 Fighting Falcon. 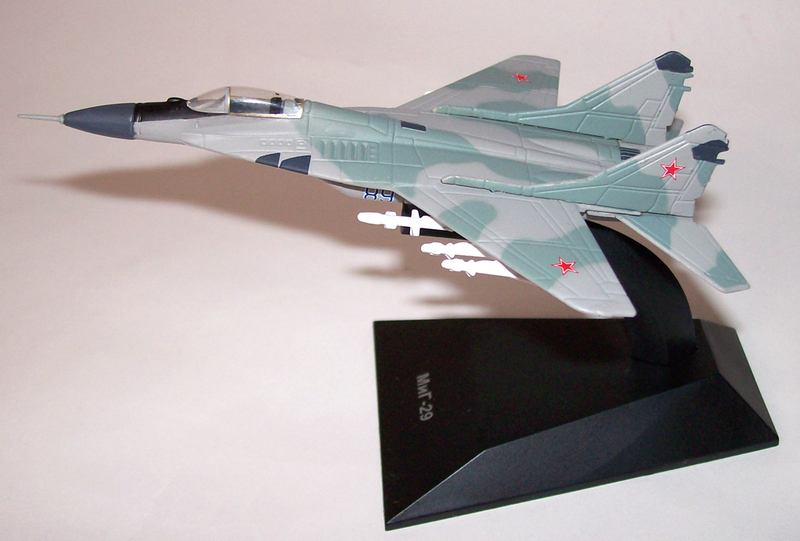 The MiG-29 entered service with the Soviet Air Force in 1983. 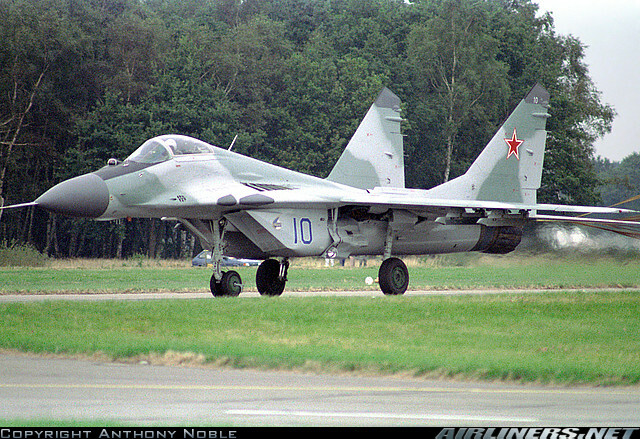 Following the dissolution of the Soviet Union, a number of successor states have continued to operate the MiG-29; the largest of which is the Russian Air Force. The Russian Air Force wanted to upgrade its existing fleet to the modernised MiG-29SMT configuration, but financial difficulties have limited deliveries. The MiG-29 has also been a popular export aircraft; more than 30 nations either operate or have operated the aircraft to date, India being one of the largest export operators of the type. 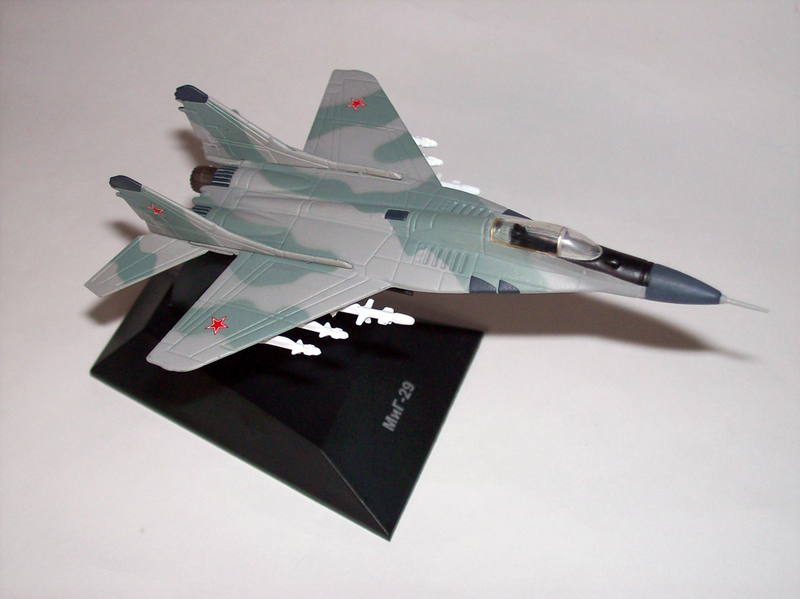 As of 2013, the MiG-29 is in production by Mikoyan, a subsidiary of United Aircraft Corporation (UAC) since 2006. With an enlarged fuselage spine containing additional fuel and a Gardeniya active jammer. With the ability to carry guided air-to-surface missiles and TV- and laser-guided bombs. NATO reporting code is "Fulcrum-C".